The Prince and The Guard offer captivating views into the hearts and minds of the two men fighting to win America Singer's love. 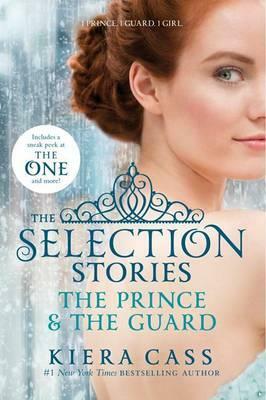 The Selection Stories also features bonus content, including an extended ending to The Prince, a Q&A with Kiera Cass, family trees, playlists, and more! Before America arrived at the palace to compete in the Selection, there was another girl in Prince Maxon's life. In The Prince, follow Maxon from the week before the Selection begins through the first day of the competition. Raised as a Six, Aspen Leger never dreamed that he would find himself living in the palace. In The Guard, get an inside look at Aspen's life as a palace guard--and the truth about his world that America will never know. Before America Singer was chosen to compete in the Selection . . . She was in love with a Six named Aspen Leger . . . And there was another girl in Prince Maxon's life. Step inside the world of the #1 New York Times bestselling Selection series with these two captivating novellas, available in print for the first time. Also includes additional scenes from The Prince, a teaser to The One, a Q&A with author Kiera Cass, and more!